Console server: Stay Alert, Act Agile. Acrosser's Vehicle Computer and Law Enforcement. Stay Alert, Act Agile. Acrosser's Vehicle Computer and Law Enforcement. 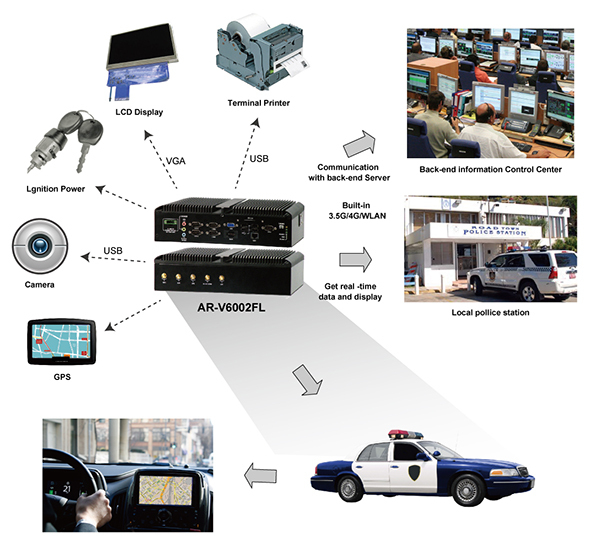 ‧ Canada government use AR-V6002FL in their municipal vehicle to be a control center. With built-in wireless communication module, operator can locate their position and feedback the information for dispatcher immediately. There is also a dashboard with more than 70 gauges in the vehicle, Acrosser platform help monitor data and trigger the events following their rules.